Let's face it, the second it gets chilly here I am suddenly looking for any reason to break out the pumpkin. Then again most pumpkin involved recipes aren't all that healthy. The world seems to have a way of taking a perfectly good veggie and turning it into a sugar infested guilt ridden dessert. After the pumpkin pie I gave into Wednesday night I am now really wanting to eat only pumpkin pie/custard type dishes. Thanks to a Pinterest search for pumpkin I got a great non-dessert idea for my pumpkin consumption. 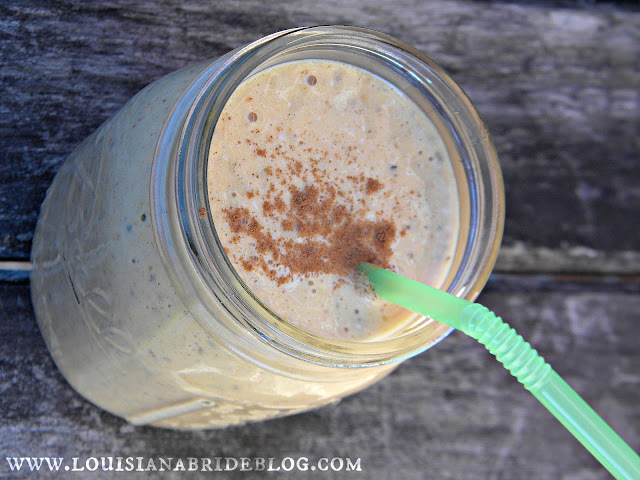 This shake is packed full of good for you foods like chia, greek yogurt, almond milk, pumpkin, and cinnamon. 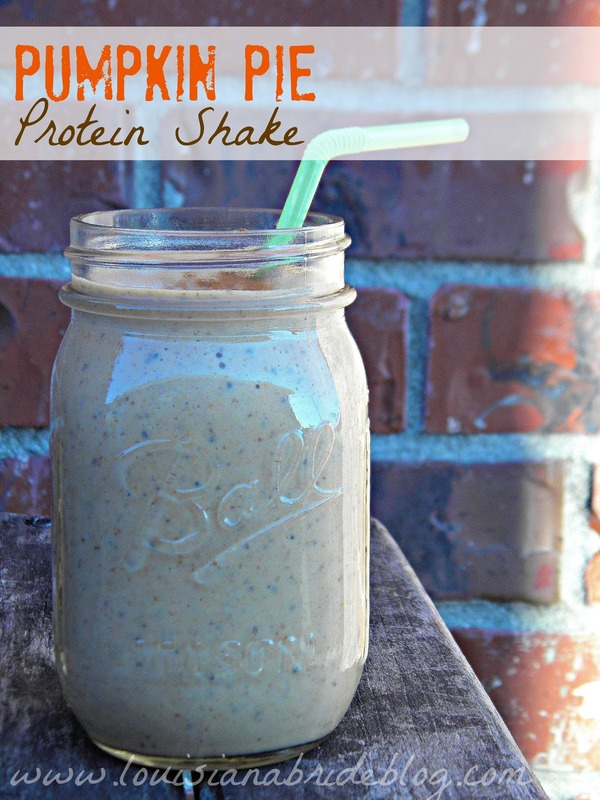 Chia is a great complete protein that also offers soluble and insoluble fiber. When chia meets liquid it swells up making you feel fuller, while also taking longer to digest. In comparison to flaxseed, chia is much easier to use because it has a longer shelf life and your body can use it without having to grind it first. We all know greek yogurt is higher in protein than the regular variety and that almond is much lower calorie than cow's milk. You can never go wrong with straight up pumpkin, but cinnamon is a special spice. Cinnamon is known to help with blood sugar and is a great supplement for diabetics. I promise this will keep you full for hours and make you feel like you've had dessert. Combine all ingredients in a blender and blend on the smoothie setting until smooth and combined well.